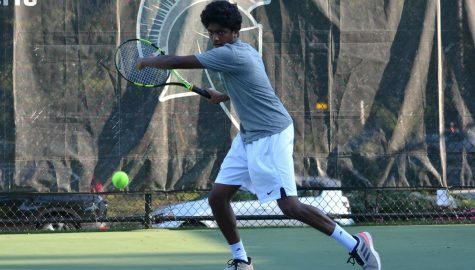 All good things must come to an end, and this was the case for the Spartans tennis teams’ 2016 season at the Division III Championships held on Memorial Day weekend in Kalamazoo, Michigan. Both the men’s and women’s teams from Case Western Reserve University had an individual in the singles competition and a team in the doubles competition. Fourth-year student CJ Krimbill represented the Spartans in the singles draw as the eight seed. In his first matchup, he convincingly defeated CJ Antonio from Oglethorpe University, 6-2, 6-4. 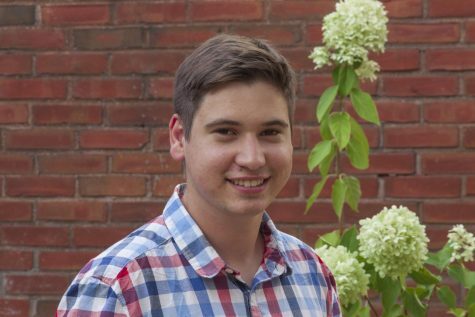 Advancing to the round of 16, he had a tough challenge against Ben Rosen from Bates College. After dropping the first set 3-6, Krimbill rallied back and won the second set 6-2 to force a decisive third set. Rosen took the set and match, winning 1-6. Krimbill finished his collegiate singles career with four All-America honors and a program record 107 wins in 138 matches. Krimbill wasn’t the only one playing singles for CWRU. Second-year student Nithya Kanagasegar competed on the women’s side. She lost a close match in the round of 32 to Caroline Ward of Claremont-Mudd-Scripps, 3-6, 4-6. Kanagasegar finished her season with a record of 15-11, including an 8-8 record playing on the first court, and was named the University Athletic Association (UAA) Most Valuable Player. Kanagasegar teamed up fourth-year student Sara Zargham in the doubles competition. The duo fell in the round of 16 to Kait Brogan and Shelby Harris from the University of Mary Washington in a thrilling match. They lost the first set 2-6, but came back to force a tiebreaker in set two, hoping to push the match to a decisive third set. Unfortunately, the Spartans pair dropped the set and the match, losing 6-7. Zargham, the first woman in CWRU history to qualify for the NCAA Championships in 2013, finished her career with a 91-83 overall record. Representing CWRU in the men’s doubles tournament, Krimbill teamed up with fourth-year student Louis Stuerke. The top-seeded pair looked to improve upon their semifinals finish in the tournament last year. In the round of 16, the duo won easily in two sets over a team from the University of Texas-Tyler, 6-3, 6-2. With the win, both players earned their 32nd doubles victory of the year, a new CWRU single-season record. Their match in the quarterfinals against Bowdoin College was a bit closer, but still a straight set 6-3, 6-4 victory for the record-setting Spartans. 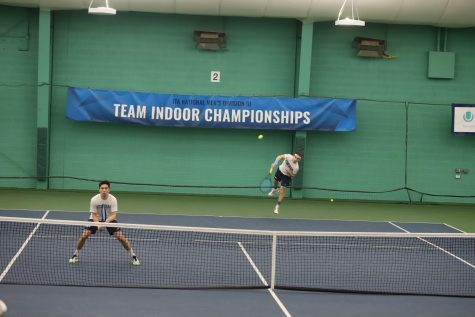 The win set up a semifinals matchup against the fourth-seeded pair from Middlebury College—Palmer Campbell and Hamid Derbani. In the first set, the Middlebury College Panthers won the first four games en route to an easy 1-6 victory. The Spartans regrouped and fought back in set two, winning three of the first six games. However, the Panthers proved to be too much and won the next three games for a 3-6 set two win. Krimbill and Stuerke finished the year 32-6 together, and each won 33 matches in doubles play overall. Stuerke, a two-time All-American, finished his career with a 92-29 record in doubles matches, good for second in program history, and a 53-35 record in singles matches. 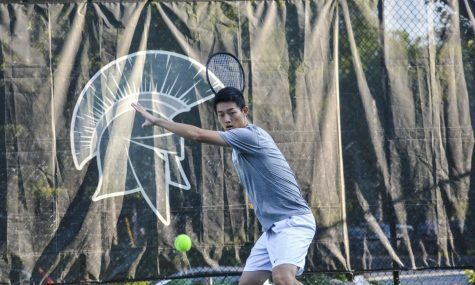 Krimbill, who won the doubles National Championship in 2014 with Eric Klawitter, finished his career as the winningest Spartan in history. He totaled 230 career wins in singles and doubles, the second most ever in the UAA. A historic 2016 season has ended for both CWRU teams. Both achieved their highest ranking in program history, 19th for the women, fifth for the men, and the men’s team secured 22 team wins, tying a program record.